Moving to Atlanta, is Atlanta going to be your new home? Moving to Atlanta, is Atlanta going to be your new home? We would like to welcome you to our great city. 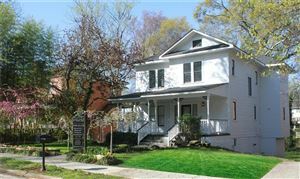 Atlanta is a vibrant and fast growing city, whether you are searching for a home in a historic part of the town or the suburbs of the city, you will always find a great selection of homes to purchase. As a Real Estate Broker who is been serving the community for over 10 years I know the ins and outs of all the communities surrounding Atlanta. Our brokerage company specializes in serving new comers that are either buying or renting a home as part of their relocation to Atlanta. We are always monitoring and learning the Real Estate trends in the Atlanta area to make sure we provide you a superb services. The Real Estate Market in Atlanta has turn around, we are beginning to hear that it is a Seller’s Market, to confirm this, I can tell you that all of our listings are either under contract or sold and we have home buyers asking for listings all day long. If you are moving to Atlanta and are planning to purchase a home, you need to speak with a real estate professional that is experienced in dealing with home sellers in a seller’s market. Additionally, full time real estate professionals almost always have clients that are planning to sell their home but in many cases, they are not quite ready to put their home for sale, working with a professional real estate agents, you will have access to some of those homes that are not on the market yet. Give as a call to get an update on a list of potential sellers. If you are going to be buying a home in Atlanta, you maybe interested in finding out the current Real Estate market condition in Atlanta., for your information, we have put together a graph showing the current inventory versus the price trends for the last 90 days in Atlanta. 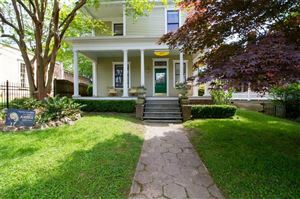 Homes for Sale in Atlanta.- Our website has an up to date list of homes for sale in Atlanta, we monitor and update our website every hour to make sure all the homes listed on our website are current and available for sale. Any home that has a pending status is automatically removed and is no longer listed. With the Atlanta Real Estate market changing so rapidly, it is possible that a listing is showing as available on our website when in fact it is not, this usually happens when agents don’t change the status of their listings as they should in the MLS or FMLS system, something we don’t have control over it. Moving Services.- To complement our real estate services in Atlanta, we have partnered with a local moving company Eddy’s Movers LLC. This is a reputable, License and Insured moving company that has been providing local and long distance moving services for over 20 years. Click here to get a free moving quote. To have one of our professionals contact you about your relocation to Atlanta, please fill out the form below and one of our real estate agents will be in touch with you ASAP. America’s Network Realty Group, Inc. has been providing Real Estate services to our clients in the Atlanta Metro Area for over 20 years. We represent home buyers, home sellers, relocation’s, landlords, Real Estate Investors, and clients interested in building their custom homes. We are centrally located in Dunwoody making it accessible for our clients in Atlanta, Buckhead, Sandy Springs, Marietta, Kennesaw, Acworth, Roswell, Alpharetta, Duluth,Lawrenceville, Norcross, Doraville, Decatur, Brookhaven, and Chamblee. 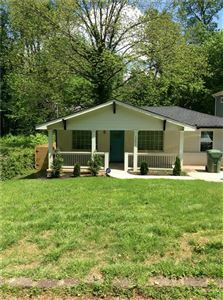 See all Home for Sale in city of Atlanta. Data last updated: 4/20/19 2:18 AM PDT. Filed Under: Blogs, Buyers Tagged With: Atlanta Luxury Homes for Sale, Atlanta Real Estate Market Condition, Atlanta Relocation Services, Home Buyers in Atlanta, Home Sellers in Atlanta, Homes for sale in Atlanta, Moving Services in Atlanta, Moving to Atlanta? Experience: I have worked as a Real Estate Agent and now as a Real Estate Associate Broker for over 12 years, all those years in one company America's Network Realty Group Inc. Loyalty is my game. Also, using my home building experience I have helped my clients with the costruction of their custom homes, renovation and remodeling of thier existing homes. Property Management: I'm experienced in maintaining Bank Owned Properties. I can provide the following REO services to banks of all sizes: Property Management, Foreclosure home maintenance, Re-key and secure bank owned properties to prevent theft and vandalism. As a license home builder, I can maintain, update and renovate all bank owned properties. I have a team of residential subcontractors to cover all aspects of home maintenance and home renovations. Response Time: I'm a real estate broker with the right tools and right technology, when it comes to providing top level services, my knowledge of the latest communication tools makes me one of a kind. No email, voicemail, or text message will be lost or not read. Using the latest technology, I make sure all communications are readily available to me instantly. Marketing: In today's business environment, you have to do marketing using the latest's technology applications. A decade or so ago we used to take a listing and market by using a local MLS, and by running ads on a local newspapers. Today the Real Estate marketing has changed, we mostly use the Internet; Social media marketing is probably the largest media used by Real Estate Agents, social sites such as google+, facebook, twitter, linkedin, pinterest, are among the sites we use to market all our listings. Mobile media is rapidly becoming the norm to find homes for sale, in order no to alienate any of those potential clients, we have made available all of our websites on mobile devices. If you list your home with us, your home will have the widest audience who are looking to purchase homes in your area. Coverage Area: I cover the Atlanta metro area, which includes the following counties: Fulton county, Dekalb county, Cobb county, Gwinnett county. Also to be more specific, here are the cities and neighborhoods I can help you with your real estate needs: Atlanta Alpharetta Marietta Sandy Springs Lawrenceville Dunwoody Roswell Duluth Decatur KennesawAcworth Woodstock Smyrna Lilburn Chamblee Tucker. If you are planning on selling or buying a home on any of the cities listed above, I can help you. Call me at 770-309-6417 or text me, I will respond immediately. games for refreshment of your mind, you have made a wise choice. in the onlinbe world. Now your kids too can enjoy a number of games online. Data last updated: 4/19/19 10:11 AM PDT.